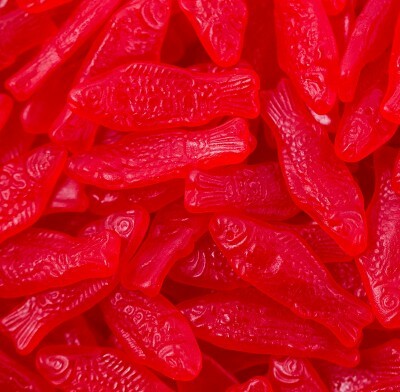 Red Swedish Fish Large, from Mondelez. The original favorite! These soft and chewy, cherry-flavored gummy swedish fish are sweet and delicious with a flavor that lasts from head to tail. Swedish fish are perfect for parties, fat free, cholesterol free and low in sodium too. Guaranteed fresh! Scrumptious red, gummy fish that likes to be eaten! A favorite for both young and old. Delivered in a 1 lb. bag.